If you are like me, then you often enjoy changing up your small space. 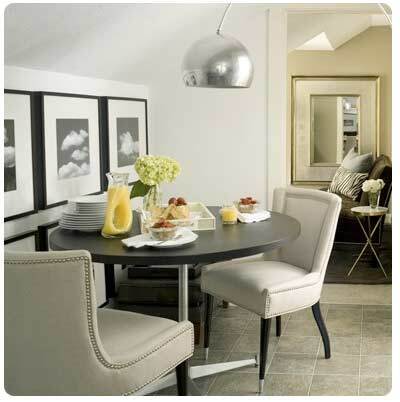 Whether it's adding an extra side table to flipping your entire layout, changing the look makes you feel good. I love seeing other people make this work and designer, David Jimenez, definitely has it down. His portfolio shows a Kansas City Carriage House - 2 ways - modern and classic. Aside from the great design ideas - I love the way he showcases how changing up chairs can change the entire vibe of the space. The small kitchen in this home went from modern to classic by switching seating. While not as affordable as throw pillows, consider changing your chairs when you want to change your design style. 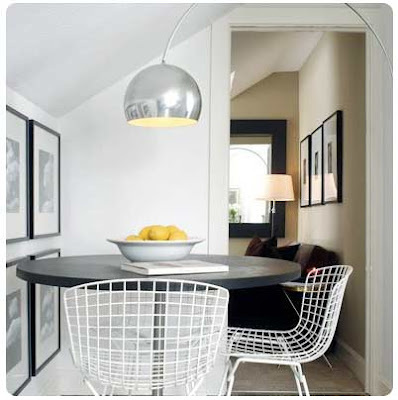 usually I'm ALL about the modern, but this classic dining room looks so inviting! I know! I feel the same way - those chairs look super comfy. The classic design isn't bad after all. But the modern design rocks!